Clachan construction have started building the Penicuik park. The website has been updated now with more details of the park design and the first construction photos. Midloithian council assigned someone to project manage things and the park went out to tender and Clachan were awarded the job. The parks set to be finished 23rd March! That said these things always seem to run late but even taking this into account we should have a park nearish to edinburgh for this summer! Dave Sowerby will be getting the construction photos updated every week or so. 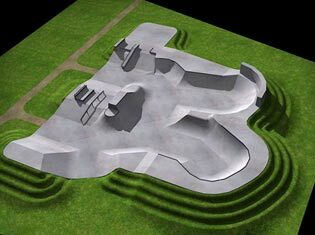 So keep up to date by checking out www.penicuikskatepark.co.uk/ for up construction photos. Fancy a job at Transition Extreme Skatepark in Aberdeen?